After browning hamburger, add 2 cans tomato soup to the frying pan (with the hamburger). Stir and cook over medium heat for 3 minutes. Pour noodles in a greased 9×13 baking dish. Pour hamburger mixture over noodles and stir. 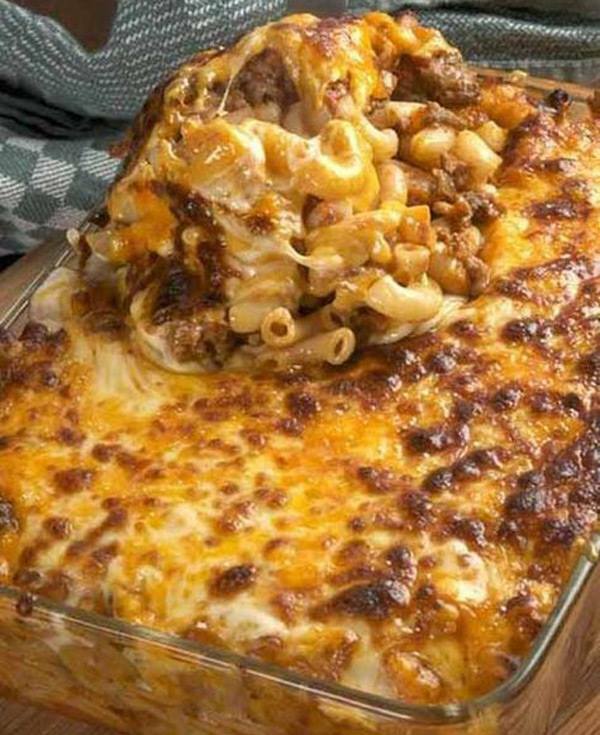 Sprinkle cheese over casserole and cover with foil. Bake in a 375* oven for 20 minutes. Remove foil and bake for 10 minutes longer. Can bake under broiler for 3-5 minutes to brown cheese, if desired.